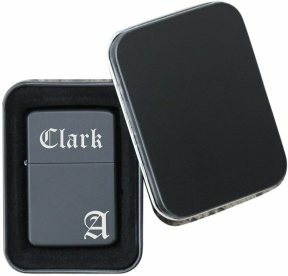 An engraved lighter makes a wonderfully useful and unique gift that is appropriate for any occasion! 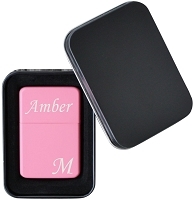 We will skillfully laser engrave your name and initial on the front side of the lighter, and the outer tin if desired. • Personalized lighter measures 1.5" x 2.25"
• Tin box (included) measures 2.25" x 3.25"
Please provide text as it should appear, and note we will engrave as it exactly as it is provided.